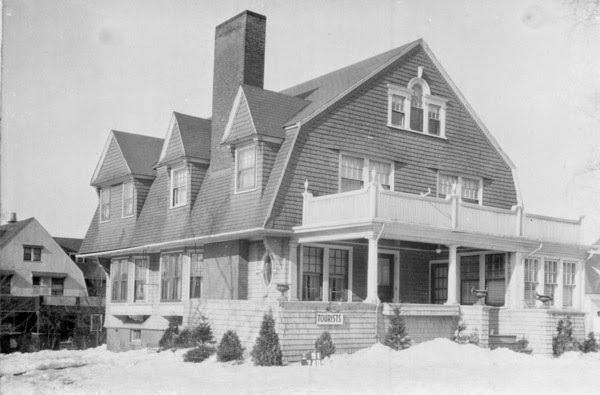 The house at 80 Sumner Avenue, at the corner of Fort Pleasant Avenue in Springfield, around 1938-1939. Image courtesy of the Springfield Preservation Trust. 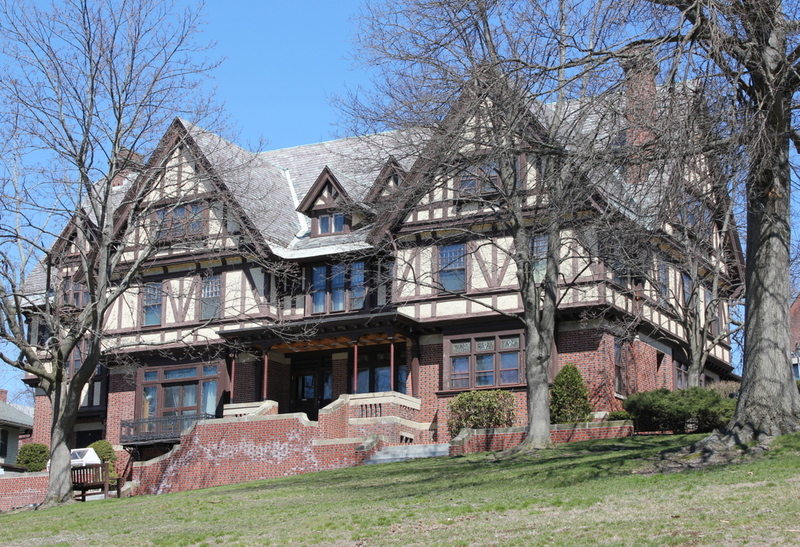 Architect G. Wood Taylor designed many of the homes in Springfield’s Forest Park neighborhood, including this one, which was completed in 1895. It is an excellent example of Colonial Revival architecture, and was even featured in the April 1900 Scientific American Building Edition. 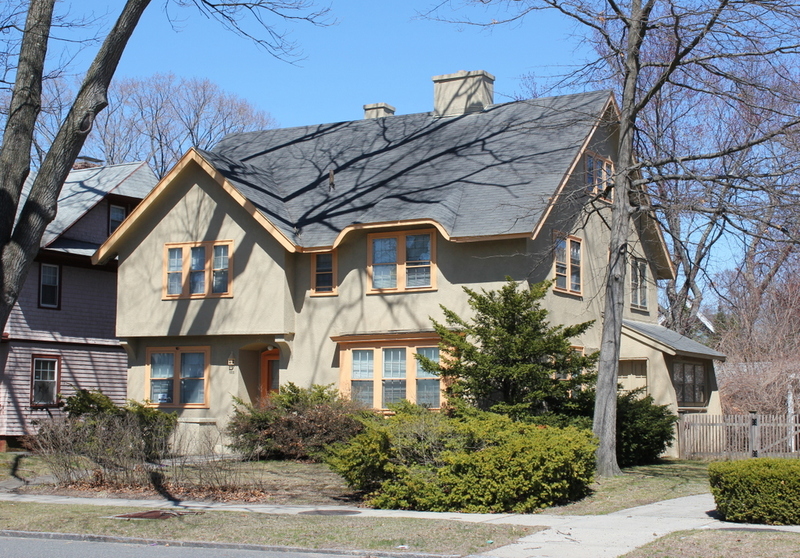 With a prominent gambrel roof, dormer and Palladian windows, and shingled exterior, it incorporates many common Colonial Revival elements, and it bears resemblance to some of Taylor’s subsequent Forest Park designs, including one on Maplewood Terrace that was also featured in Scientific American. The house was built for attorney Charles C. Spellman and his wife Jennie. Born in nearby Wilbraham, Spellman attended Yale, later graduated from Harvard Law School, and then began practicing law in Springfield in 1868. During his time as a lawyer, he also served in several different public offices, including serving for many years as clerk of the police court in Springfield. In 1887, he served a one-year term in the Massachusetts House of Representatives, and the following year he served in the Massachusetts Senate. A year after the family moved into this house, Charles and Jennie’s son Charles graduated from Yale. He was subsequently admitted to the bar, and he became his father’s law partner in the firm of Spellman & Spellman. He lived here with his parents until around the time of his marriage to Alice M. Malley in 1903, and by the 1910 census Charles and Jennie were living alone in this house. Charles died in 1920 and Jennie in 1925, and by 1930 the house was the home of Harris L. Judelson, a Russian immigrant who owned a meat market. At some point in the mid-20th century, the house was covered in asbestos siding, and the porch was altered. It was later converted into medical offices, and today it is still used as a chiropractor’s office. 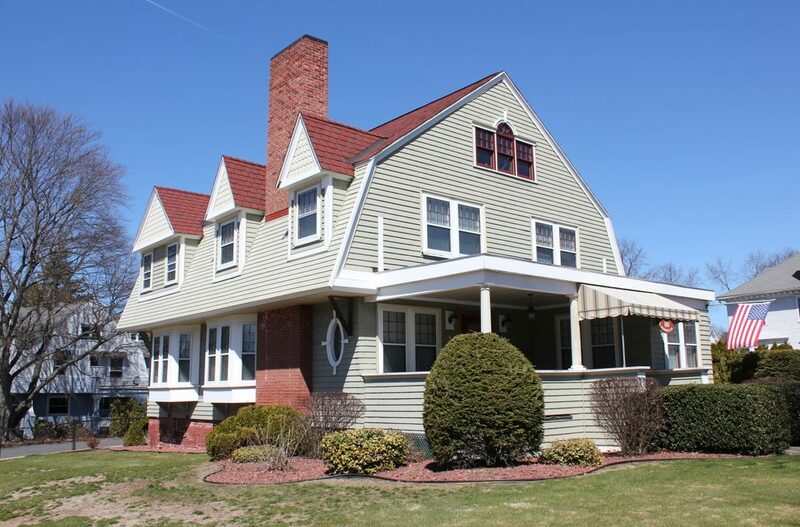 However, the exterior has since been restored, with wood shingles replacing the old siding. Like the other surrounding houses, it is part of the Forest Park Heights Historic District on the National Register of Historic Places. 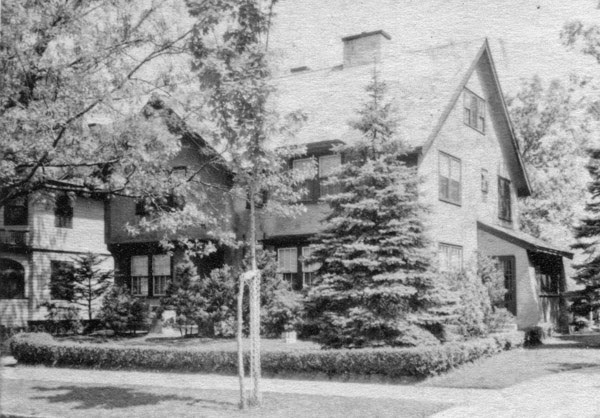 The house at 96 Sumner Avenue in Springfield, around 1938-1939. Image courtesy of the Springfield Preservation Trust. This house was built in 1896 for Henry E. Marsh, the owner of Cooley’s Hotel in Springfield. The hotel itself was nearly as old as Marsh, having been established in 1849 by Justin M. Cooley. 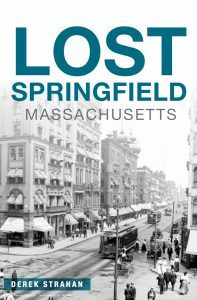 Marsh, who had been born in Hatfield in 1846, moved to Springfield when he was 20 and became an office boy for the hotel. From there, he worked his way up in the hotel, and eventually became a partner in the business in 1881. Cooley retired in 1892, and Marsh took over ownership of the hotel. He subsequently enlarged it, making it one of the city’s premier hotels. It enjoyed a prominent location next to the railroad station, just north of the arch over Main Street, and by 1905 it boasted 75 rooms, which could accommodate 300 guests. The hotel also featured a restaurant, Turkish baths, and even a Western Union telegraph office. Henry Marsh lived in this house with his wife Mary and their two sons, Phillip and Harry. Their oldest son, Edward, had died of Bright’s disease at the age of 23, a few years before this house was built. Phillip also died relatively young, at the age of 34, in 1913, with his death certificate listing diabetes as the cause of death. By 1914, Henry had retired from the hotel business, and two years later he sold this house to real estate dealer William Lay. Both Henry and Mary died in the 1920s, and in 1929 his former hotel became the Hotel Charles, which stood at the corner of Main Street and Frank B. Murray Street until its demolition in the 1990s. However, his former mansion on Sumner Avenue has fared better over the years. By the 1930 census, it was owned by Edward L. Stoughton, the vice president and future president of Wico Electric Company. He was 39 at the time, divorced, and lived here with his two daughters, Dorothy and Marylin, who were 18 and 6 years old, respectively. More than 120 years after the Marsh family moved into this house, it remains well-preserved. in its original condition. Many of the mansions along this section of Sumner Avenue were later demolished to build apartment blocks or other buildings, but this house still stands as a good example of late 19th century Colonial Revival architecture. Along with the rest of the neighborhood, the house is now part of the Forest Park Heights Historic District on the National Register of Historic Places. 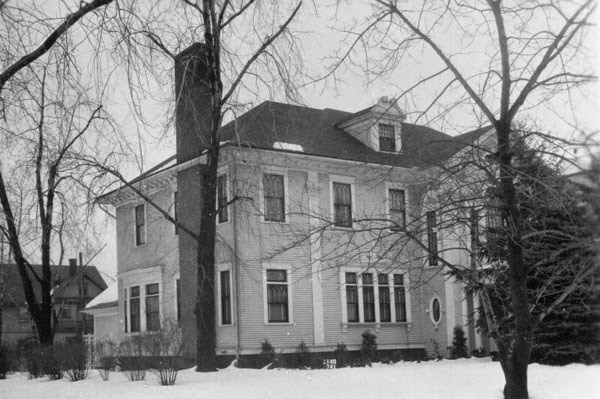 The house at 120 Maplewood Terrace in Springfield, around 1938-1939. Image courtesy of the Springfield Preservation Trust. 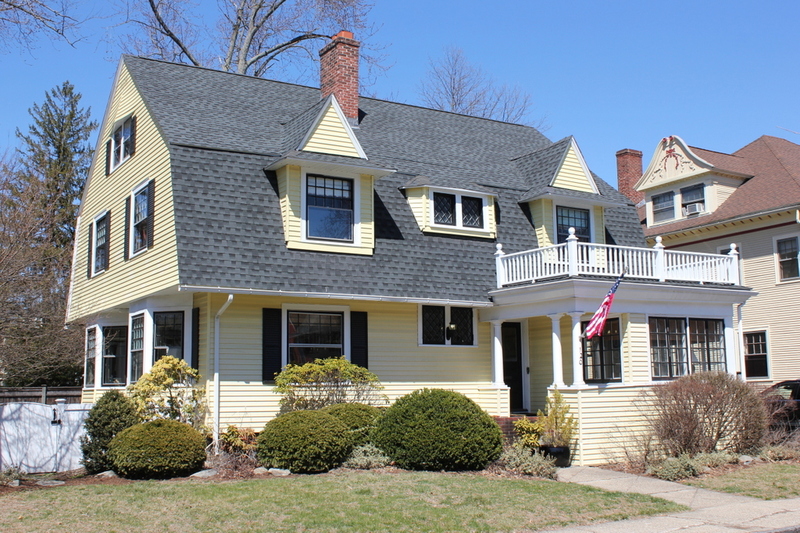 This Colonial Revival-style house was built in 1902, and was designed by G. Wood Taylor, one of Springfield’s leading architects at the turn of the 20th century. It was one of his many works in the Forest Park neighborhood, and it was even featured in the July 1903 issue of Scientific American Building Monthly. Originally, the house was owned by Frank and Emma Doolittle, who were both about 50 when they moved in. Emma died in 1919, and Frank continued to live here until his own death in 1933, only a few years before the first photo was taken. Around 115 years after the house was built, the only significant change to Taylor’s original design has been the front porch. The left side of the porch is now gone, and the right side has since been enclosed. Otherwise, though, the house has been well-preserved, and along with the rest of the neighborhood it is part of the Forest Park Heights Historic District on the National Register of Historic Places. 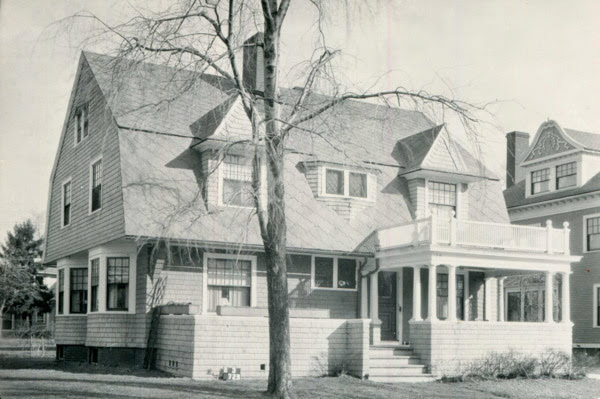 The house at 26 Ridgewood Terrace in Springfield, around 1938-1939. Image courtesy of the Springfield Preservation Trust. This area between Union and Mulberry Streets was once the home of Colonel James M. Thompson, who built a mansion here in 1853. It was situated on a large, beautifully landscaped lot that offered views of downtown Springfield, the Connecticut River, and beyond. Colonel Thompson died in 1884, and about a decade later his widow sold the property to William McKnight, the developer of the city’s McKnight neighborhood. He subdivided the lot, demolished the old mansion, and built a number of upscale houses along Union Street, Mulberry Street, Ridgewood Place, and Ridgewood Terrace. 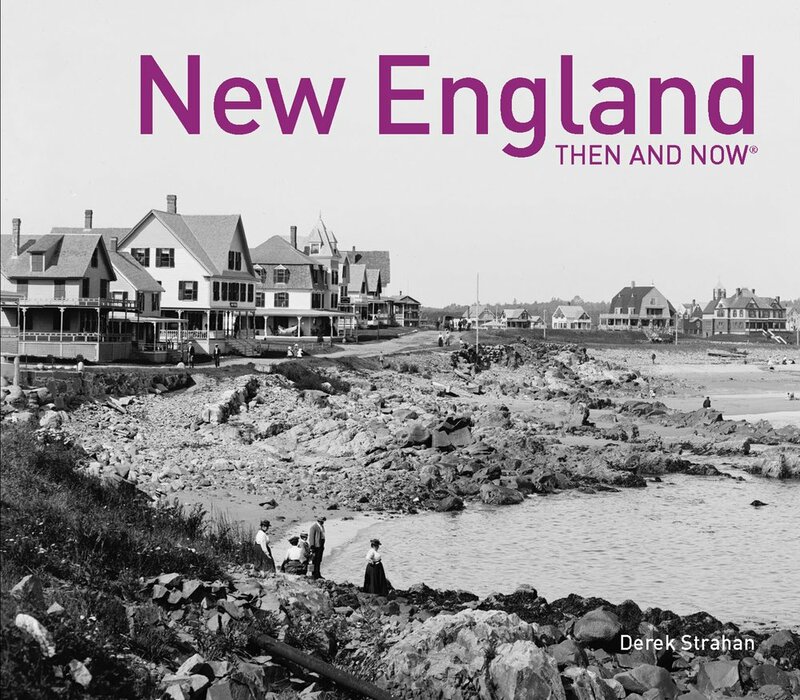 The Tudor Revival-style house in these two photos was one of the finest in the development. Like almost all of the other Ridgewood homes, it was designed by G. Wood Taylor, an architect who was also McKnight’s son-in-law. It was completed in 1896, and its first owner was John A. Hall, the president of the Massachusetts Mutual Life Insurance Company. Born in New York in 1840, Hall had come to Springfield during the Civil War to work in the Armory. After the war, he began working for MassMutual, and despite no prior experience in the insurance industry he soon advanced in the company, eventually becoming secretary in 1881 and then president in 1895. John Hall married his wife Frances while he was still working at the Armory, and they had two children, Clara and John, Jr. All four of the family members were living in this house during the 1900 census, along with three servants. However, John died in 1908 while traveling overseas in London, and this house was subsequently sold. Two years later, his son committed suicide at the Maplewood Hotel in Pittsfield, at the age of 30. According to contemporary newspaper accounts, he had called a barber to his hotel room for a shave, asked the barber to see the razor, and then used it to cut his throat. 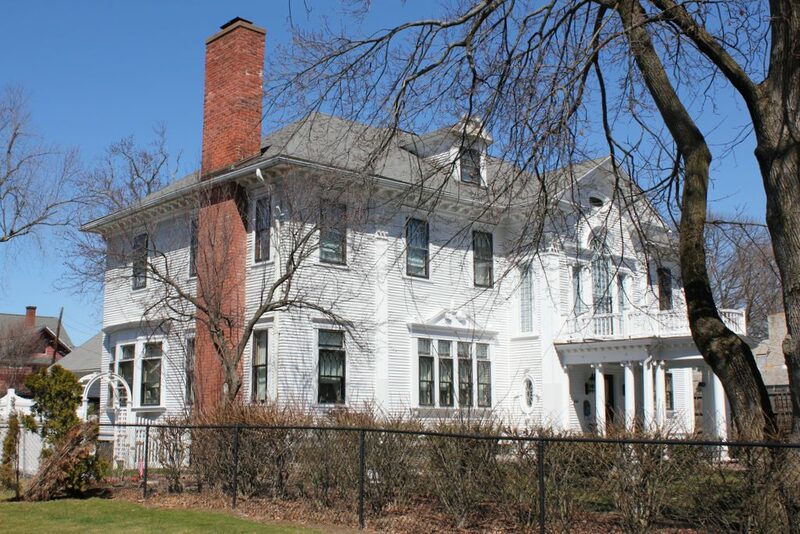 In the meantime, the new owner of this house was Albert Steiger, the founder of the Springfield-based Steiger’s department store. Steiger had immigrated from Germany to the United States as young boy in 1868, and when he was a teenager he began working for a dry goods merchant in Westfield. He eventually opened a store of his own in Port Chester, New York, and in 1896 he opened a second store in Holyoke, followed by a third in New Bedford in 1903. Then, in 1906, he opened what would become his flagship store in Springfield, at the corner of Main and Hillman Streets. 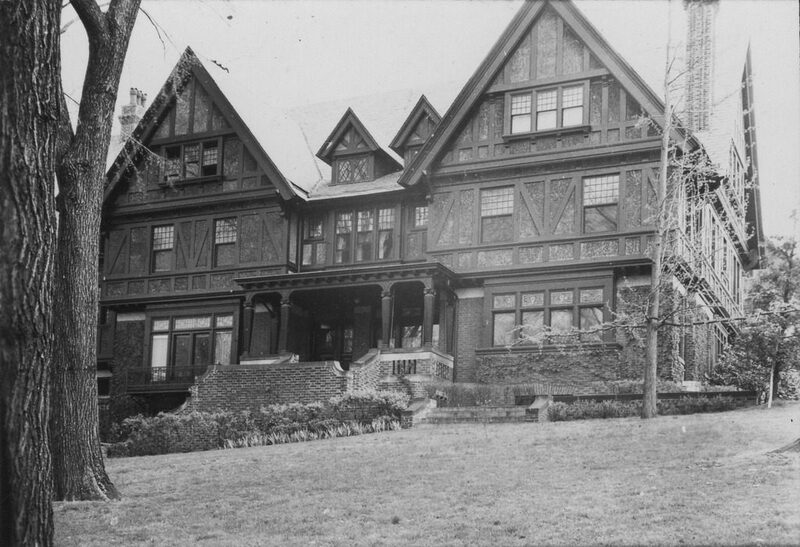 Despite competition from other, more established nearby department stores such as Forbes & Wallace, Steiger’s became successful, and just a few years after opening the store Albert Steiger moved into this mansion on Ridgewood Terrace. He and his wife Izetta had five sons, Ralph, Phillip, Chauncey, Robert, and Albert, Jr. All of them went on to work for their father’s company, and the two youngest also served in World War I. In the meantime, the company continued to expand, opening a store in Hartford in 1919, and by 1924 his stores were bringing in some $15 million in annual sales, equal to over $200 million in today’s dollars. Albert Steiger lived here until his death in 1938, right around the time that the first photo was taken. In the 1940 census, his son Ralph was living here, along with Robert and Albert, Jr. However, by the early 1950s it was sold and converted into the Ring Nursing Home. It was in use as a nursing home until the 1990s, and has since been converted into a group home for children. Despite all of these changes, though, both the house and the surrounding area have remained well-preserved. Nearly all of the homes that McKnight built here are still standing, and now form the city’s Ridgewood Local Historic District.